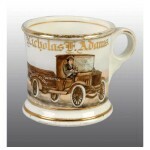 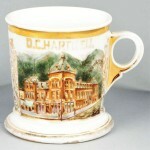 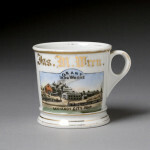 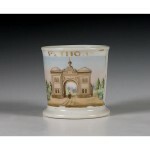 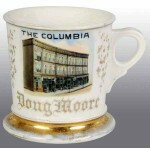 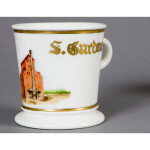 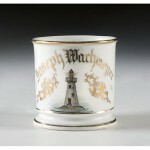 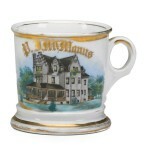 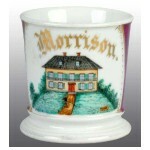 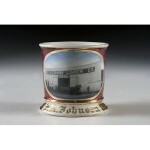 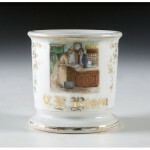 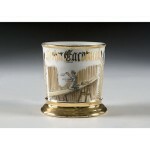 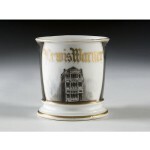 This category includes mugs that feature images of buildings and trades that are related to the construction of buildings, bridges, or other projects. 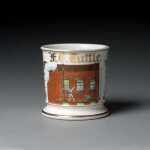 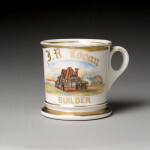 Many mugs with homes on them would be for contractors or home builders as a way to show how nice the houses they built were, other common buildings would be the factory or business of an entrepreneur or business owner. 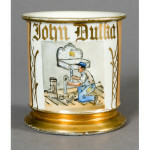 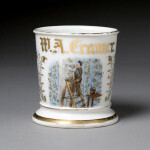 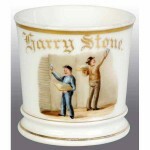 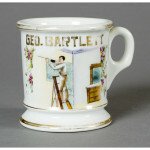 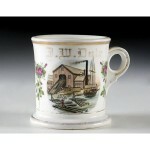 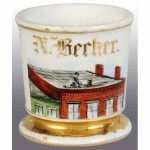 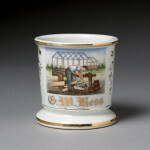 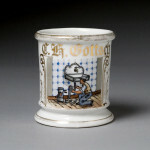 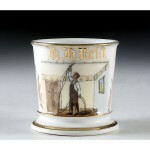 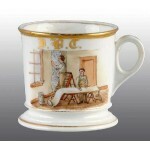 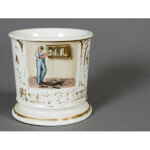 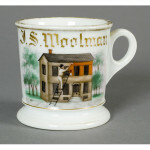 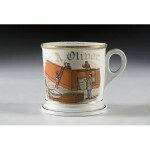 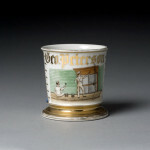 Common trades seen on these mugs are carpenters, roofers, painters, masons, plasterers, plumbers, and wall paper hangers although others can be found as well.